The federal government doesn’t fully understand how its decisions impact municipal and regional governments. That’s what North Vancouver District Mayor Richard Walton said when he explained how municipalities engage in discussions with local First Nations. The discussions provide an opportunity for learning that Walton rightly said is missing at the federal level. He referred to a “knowledge gap” that exists under the Canadian Constitution – a gap that exists because the federal government is responsible for First Nations while municipalities are “children” of provincial governments. “If you talk to many of the members of Parliament, they’re not cognizant of issues that may result as a result of federal legislation changes,” Walton said. Walton spoke to the issue of an increasing number of non-aboriginal people living on reserve lands. He said three or four times as many non-First Nations people now live in Raven Woods, which is the large community development located on Tsleil-Waututh land near Deep Cove. And that changes the dynamic of the service agreement that municipalities and regional districts enter into with First Nations to define the provision of basic services like water, sewage and roads. It is this kind of engaged discussion that can lead to long-lasting solutions. Learning that comes from the ground-up, like that between First Nations and municipalities, is vital to a healthy democracy. While an information page is already up and running, the district will also be hosting an information session at 7 p.m. on March 27 at the Community History Centre in Lynn Valley. 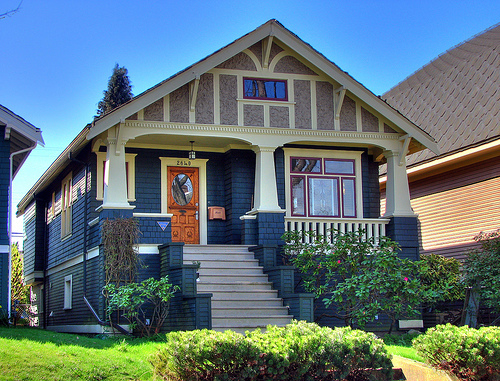 The district already has two inventories, the District of North Vancouver Heritage Inventory (1910-1930) and The Modern Architecture of North Vancouver Inventory (1930-1965), that will serve as the new register’s base. Adding onto the pre-existing inventories, the district has also compiled a list of new nominations to receive heritage designation. Attaining heritage status for a property comes with its perks. Not only are owners eligible for specially designated heritage grants, but special provisions are permitted in the building code for heritage properties. The properties can also attain provincial or federal government funding depending on the nature of the property and availability of funds. Most of the homes that are under consideration were either built between 1910-1930 or embody the “West Coast Modern” craftsmanship that was popular between the 1950-60s. Though some benefits come with having a property that’s considered a heritage building, there are some downsides as well. The buildings can not be demolitioned, and there are certain stipulations put in place regarding the aesthetics of the property. The question of what exactly is considered “heritage” has been a hotly debated topic in the past. The loss of heritage buildings due to poor conditions or residents who are unable or unwilling to make necessary changes has been a point of contention for some City of North Vancouver residents. The March 27 meeting will be an opportunity for residents and council, who ultimately determine which properties will be deemed heritage, to discuss the nominated properties, the implications of a new inventory and how the district will approach the heritage status process. Representatives at Metro Vancouver discussed whether or not non-Native people living on reserve lands should be allowed to vote in municipal elections. Currently, regulations around B.C. are inconsisent regarding the matter. Other provinces have established policy that excludes aboriginal land from municipal and regional regulations and voting rights. Some say the current mixed system in B.C. results in a situation that is not in keeping with democratic practices. At the meeting on March 2, Tsawwassen Chief Kim Baird said the issue should be dealt with from region to region. The issue is an important one for North Vancouver, where thousands of non-aboriginal residents are expected to move into housing developments that will be built on first nations land. Members of the Squamish Nation have said before that it would be “unfortunate and regressive” to deny reserve residents the right to vote in municipal elections. But others say that “taxation fairness” is of primary concern. The District of North Vancouver’s council meetings are not usually filled with teenagers, but at Monday’s meeting, a large group of passionate longboarders, most of them between the ages of 13-17 years old, crowded into the municipality’s hall to make their voices heard. The meeting addressed issues with street and traffic bylaws currently in place that staff recommended amendments to in respect to longboarding. The district has dealt with ongoing issues between its local residents and the longboarding community. Most of the district’s longboarding activity happens in the Upper Lynn Valley area – its steep hills and relatively quiet traffic lend itself well to the sport. Among the list of complaints from residents are safety and traffic concerns. 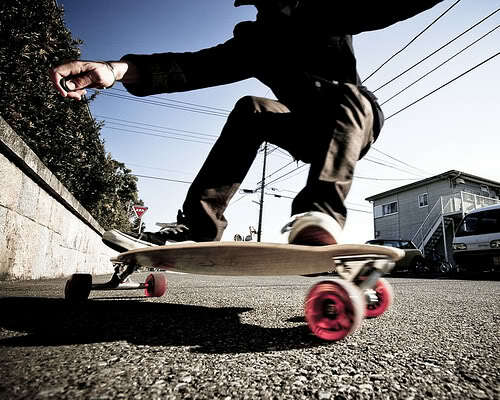 They have also told council that they feel many of the longboarders lack respect, treating the narrow residential roads as their own personal race course. Longboarders have countered these allegations, claiming that they are responsible and that residents and council should not quash what has become an increasingly popular sport. Tensions were high at Friday’s meeting. Not only did residents and longboarders make their opinions heard, but a number of council members quite passionately gave their opinions on the matter. Mayor Walton warned the longboarders that if they did not respect the concerns of their community, they would all end up back in council again. “Our emphasis is going to be on education and community respect, but I can not say enough that I will be prepared to ban it if this situation that we’ve seen in the past year escalates,” he said. The mayor also compared the current situation with the issues the district had with mountain bikers approximately eight years ago. Like longboarders, mountain bikers headed up Upper Lynn Valley, parking their cars around the Coleman Street area. They clashed with local residents, who accused them of treating the streets as a hang-out site, urinating in residents’ yards and bothering residents with noise. Also, like the longboarders, the matter of speed and safety on the roads was a hot topic at the time. Some councillors, such as Cllr’s Bassad and Little, were particularly supportive of the young group in the meeting. “In the vein of fairness, there are things that the residents can do to reduce risk as well,” said Little, adding that residents should be more alert and park their cars with their front end facing out to the street so that they can better see oncoming traffic, including boarders, as they drive out. The motion to clarify and amend the bylaws, which will now be given first, second, and third readings. Cllr. Hicks was the only one to oppose the motion. West Vancouver council voted against a motion to oppose the mandatory installation of BC Hydro’s smart meters. In a 5-2 vote, the majority of councillors said they were against such a motion because they did not want to risk overstepping their jurisdiction. Instead, they opted for prudence on the matter since it’s too hard to say what might happen if the District were to ask for action. There has indeed be a lack of communication on the issue. Even Mayor Michael Smith admitted at the meeting that he knows nothing about smart meters. Smart meters provide an in-home display that gives real-time readouts of household energy consumption. They allow consumers to monitor their power consumption. But concerns have been raised regarding the potential danger of radiation emitted by the smart meter network. Since then, BC Hydro has since made efforts to respond. City of North Vancouver childcare service providers such as Park Place Daycare are being forced to pack up and ship out due to limited spaces and rising rent prices. Stephanie Snider, whose children go to Park Place, has led a delegation to City of North Vancouver council asking for their help in “[identifying] barriers to the provision of space in the city” for daycare spaces. Snider has pinpointed an important disconnect between the city’s ambitious development plans and their provision of necessary amenities. Snider, whose family lives in the quickly developing commercial hub of Marine Drive, said the city should be aware of the need to provide for the type of families who will reside there. “There are many condos going up along Marine Drive as part of a move to provide more affordable housing in North Van, so where are all the new young families supposed to take their kids?” she said. Carolyn Peters, the owner of Park Place Daycare, is now moving her daycare near the North Shore Winter Sports facilities, kilometres away from Snider who used to only walk two blocks to drop off her children. Part of the reason Peters had to leave was because the property owners of the building said they would not make the changes to the building that would make it seismically safe, a potential risk Peters wasn’t willing to take. Peters said it has been difficult finding a space that was both seismically sound and affordable, and only found her new space after more than a year of looking. She also pointed to the fact that as it is, parents from Vancouver are driving their children over to the North Shore just to find a daycare space – it’s already difficult enough for Vancouver residents to find a good daycare space, and now North Vancouver is facing similar issues. With growing wait lists, the city needs to recognize that the provision of child care is a necessity. Samantha Johncox and Amy Danks of Sweet Peas Cottage, a daycare centre in North Vancouver, seconded the notion that the city needs to step up and recognize the importance of affordable child care for its growing number of young families. At a Feb. 6 council meeting, council unanimously carried a motion to have the city work in tandem with the provincial and federal governments to begin prioritizing child care services. Peters, Johncos, Danx and Snider have created a Facebook page where updates on the development of their cause are posted. A recent North Shore News article detailed some background on this issue. North Vancouver’s Balmoral Secondary School will be switching to an alternative learning curriculum in the next school term, a plan which some residents in the vicinity of the school are concerned about. The program, known as Community Learning Program (CLP), gives students who struggle in standard secondary school environments specialized education. The North Vancouver School Board first approved of the plan to to switch Balmoral’s curriculum on Nov. 15, 2011. However, Victoria Miles, the communications manager of the North Vancouver School Board, said it’s society’s collective responsibility to help students. Chris Laxton, a North Vancouver substitute teacher who taught at Keithlynn Secondary School when it offered alternative education, said it would be unlikely that students would pose a risk to the community. “If Balmoral changed from the current students they have now to the students that would otherwise occupy the Keithlynn environment . . . other than more congregation around the smoking pits,” he said. Pascal Grey, who teaches alternative education in the Kitsilano area, said these programs are necessary for marginalized students. “There’s so much going on emotionally [for them], not only because of where they are in their growth as a person but because they’re usually coming froma household where there’s some pretty negative circumstances that make learning difficult,” he said. Grey added that the lenient nature of alternative learning programs helps these students eventually graduate. Many people forget there is a provincial mandate in place that requires all B.C. 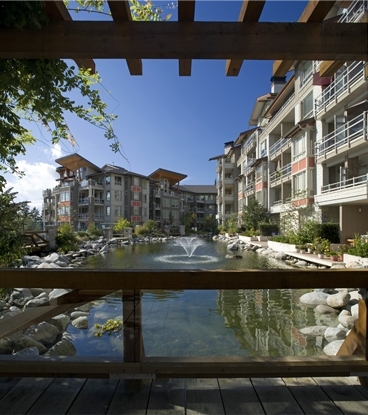 residents to uphold a “holistic responsibility . .. towards the education of young people,” Miles said. The North Vancouver School Board has provided a consolidated overview of the program and recaps of the community meetings on the board’s website.